We had some childless friends over this weekend who like board games as much as we do. For the first round, we let Kid choose one game (Ticket to Ride) and one friend wanted to learn Settlers of Catan, so we divided into two groups and had a great time, though there was much competition among families to have a winner in at least one game. 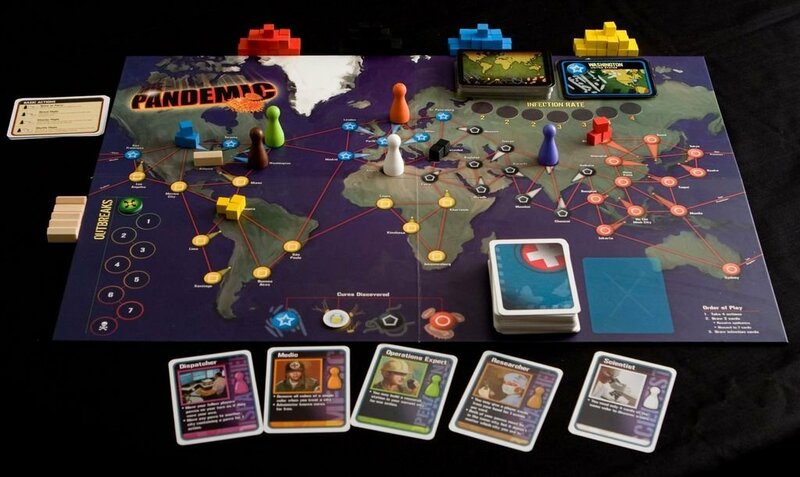 But later in the day, everyone wanted to play a game together, and somebody suggested that we could play Pandemic. Kid didn’t want to play. One of my most competitive friends, we’ll call her Sam, asked the Kid why not. Kid: Because we always lose. Sam could not imagine such a thing. She and her boyfriend (call him Ethan) set about trying to convince Kid that she should play. Sam: But this might be the time that we win. Ethan: We’ve got a lot of big brains here. Very smart people. We can do this. Kid: You don’t understand. There are four ways to lose and only one way to win. Sam: No, this is going to be the time! We played. We lost. Sam and Ethan were in disbelief. But this is why pandemics are going to destroy the world. Because our best and brightest upcoming health professionals (and Sam and Ethan really are among our best and brightest upcoming health professionals) just don’t understand how hard it’s going to be. Fortunately for us, they’re willing to keep trying. And maybe next time we won’t pick all the red cities and then an Epidemic card on our first draw!